Can working at The Field Museum change your life? In this activity students will explore the effects of geography and other abiotic factors on plant range and distribution. Students will access an on-line database, Arctos, to retrieve data, use climate and elevation maps, and complete a data table. Educators may want to do the Arctos tutorial before the activity. There are two attachments at the bottom of this page. The first is the instructions and worksheets for the activity, Plant Range Module. 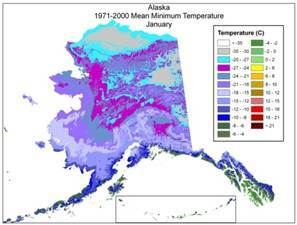 The second contains Maps of climate and elevation in Alaska. If you download and use the module, please fill out the feedback form and email it back to us at aim-up@aim-up.org.